CINC offers real estate agents with a centralized platform where brokers can transact and collect leads. It is the real estate CRM and project management software of Commissions Inc., a company that provides real estate solutions to mid to large scale businesses. Having acquired TigerLead in 2016, they incorporated the said real estate software’s features into their product suite. In this review, we cover user reviews. Ready to try CINC? Request a demo. 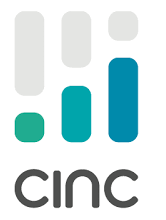 Users who gave CINC a positive review said that they like its email drip funnel feature, client communication logs, automatic pipeline changes, and integration with other platforms. One user who gave a positive review on Capterra mentioned that CINC helps her become organized given its many features. She also loves using its email drip funnel functionality and other tools that enable her to manage her marketing campaigns well. Users who gave CINC a negative review complained about its slow load times, poor customization options, and low quality of leads. Several others said its interface is not intuitive and can be intimidating for first-time users. One user who left a review on Capterra complained about the quality of leads that he receives from CINC. He added that the lead numbers are very low and that it takes a great deal of effort to convert them into new clients. CINC does not publish their prices on their website, but other software similar to CINC has pricing that ranges from $34.95 per month to $499.95 per year. Cost depends on the number of users, duration, and features included. Ready to try out CINC? Request a demo. Does CINC require new users to sign a contract with them? No. CINC claims that they don’t require users to sign a contract when subscribing to their services. Can users access CINC through mobile devices? Yes. CINC provides its users with access to a mobile app where they can track leads, get property alerts, and schedule appointments. Not sure if CINC is the right fit for you? Read our reviews of all real estate software providers. The site can be somewhat clunky and slow. That the customization and functionality were limited. It would be been far easier to use a different CRM program.